Florida has over 1200 miles of coastline – That’s a lot of beaches. But where are the best Florida beaches for your vacation? As you can imagine, with that much coastline, there are many different types of incredible beaches. 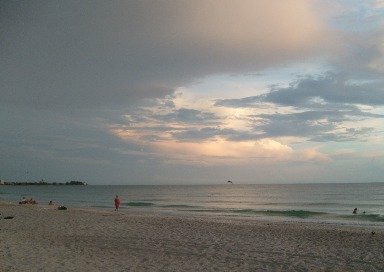 When rating beaches, it seems to me that the “experts” tend to lean towards the beaches with the most natural beauty, and Florida has some of the best in the world for that. That does not necessarily make them a great vacation beach though. Caladesi Island, for example, is rated as the #1 Beach in the US for 2008 by Dr. Beach (Stephen Leatherman). Here’s the catch – it is a state park that is not even accessible by car, so there are no hotels or restaurants (unless you count the snack bar). Though a beautiful beach, this makes Caladesi a must see daytrip, but not a place to plan your vacation around. My point in all this is that just as you can’t marry a painting, my rankings won’t go on beautiful views only. After all, you are looking for the best Florida beaches for you to vacation on, admiring it will not be enough. 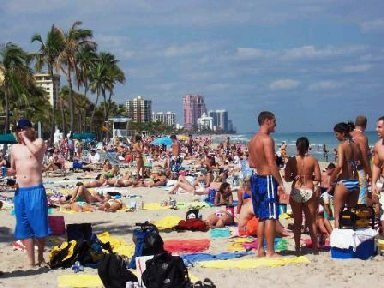 Below I breakout my favorite vacation beaches into categories to help you in choosing the best Florida beach vacation spot for you. Click on the category titles or the beach names for more details. 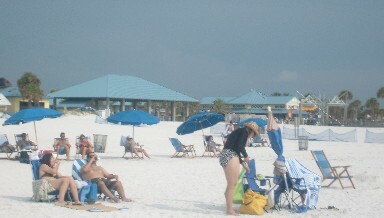 Clearwater is built for tourism, with a family friendly public beach smack in the middle. 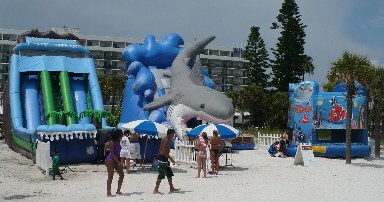 Clearwater has accommodations for all needs, and access to as many types of activities as can be imagined. Siesta is consistently rated as one of the best overall beaches in the US. It has a great family beach feel. Surprisingly family friendly. Small amusement parks and lots of other activites abound. Think Kennedy Space Center, Ron Jon’s Surf Shop, and Disney. Your kids will never be bored. These are quiet little towns that have many quaint bungalows & cottages perfect for romantic rendezvous or restful escapes. It is a lovely island that has small private beaches attached to a handful of resorts. On the north end there is a large public beach that is so quiet there is even a preserve for bird nesting on it. Very quiet & laid back. True Old Florida charm with no high rise resort condos. Do I really need to say anything other than – Party!!! MTV’s Official Spring Break Headquarters! Billed as : The World’s Most Famous Beach! Big Time Party Beach - Well at least it used to be. The city has really curtailed spring break here. I only mention it because it was the original spring break beach. It is probably too laid back now for the average breaker these days. Click on "Best Spring Break Beaches" above for more info. Beauty - They all have sugar white sand beaches and incredible water. Vacationability - They all have significant & varied accommodations available, as well as quality restaurants and a multitude of things to do. 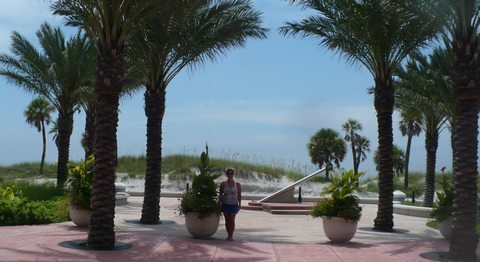 There are miles of beautiful white sand beaches, accommodations for all needs, and it is a central beach in the Tampa Bay area. That means there is more to do here than one vacation can handle. A quieter version of Clearwater. Siesta is more natural. It has picnic tables, an area zoned just for atheletic activities, and an old Florida type of dining and nightlife. Many rate this beach as the best in the US. This blends the best of the Top 2. There are beautiful beaches, lots to do, and a gentler pace of life (except during Spring Break).